some leave only a bitter after taste in your mouth but without any long term effects. some are a little more devastating. they relieve you of your senses, temporarily. only to wake up drowning in self-loathing, that hangover of the soul, a souvenir of a near death experienced barely survived. he will eventually be the death of you. he infects your soul with a slow and agonizing terminal illness similar to the liver cirrhosis one gets from excess alcohol consumption except this is the death of the soul. resulting in the steady seepage of your person, drip drip drip. the leaking of your essence into the hundred and one other men in whom you will seek to find wholeness again. ironically it is in these rebound affairs we’re lost entirely, where personality dissolves like salt in hot water which is visually imperceptible but the bitterness is unmistakable upon taste. and drift into a peaceful slumber as you listen to the steady beat of a sincere heart. unless you’ve had way too much to drink. 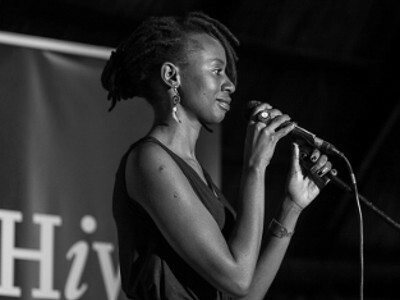 Zimbabwe’s Charity Hutete is a dynamic page and performance poet whose written work has been described as ‘a layered feast’. Her innovative use of words infused with the alluring harmonic refrains that often accompany her acts always result in tasteful, culturally rich and thought provoking entertainment. Charity’s poetry is characterized by rich allegories which interrogate vast social realties earning her the nick-name ‘aCuriousPoet’. She has exhibited her work at several international festivals in Zimbabwe, Botswana and Norway.